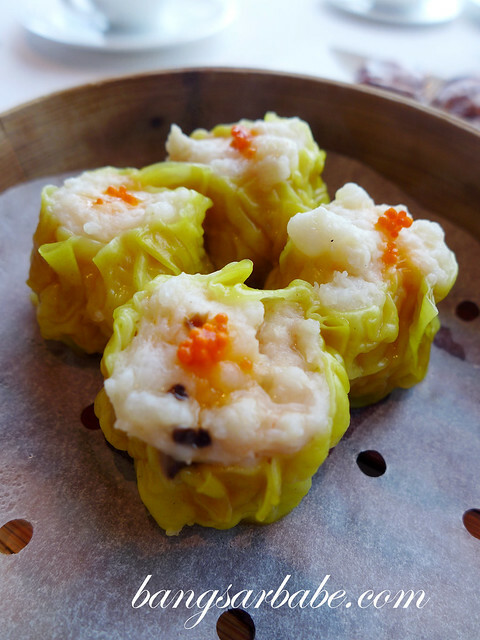 My recent trip to Hong Kong allowed me to sample a good balance of street food and fine dining Cantonese cuisine. 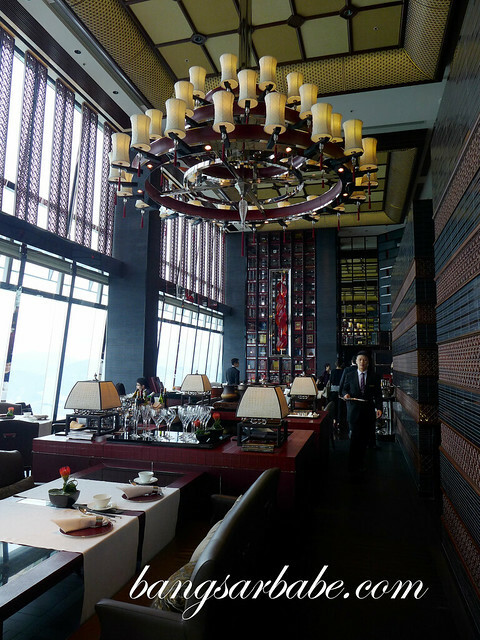 The latter form of dining also included my terrific experience at Tin Lung Heen in The Ritz-Carlton Hong Kong. 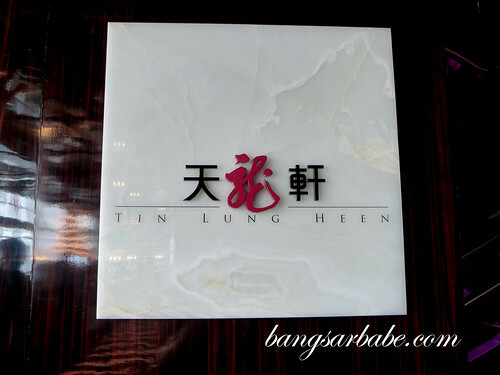 With two Michelin stars under its belt, Tin Lung Heen showcases opulence in every dish with luxe ingredients being tucked into dim sum and ala carte dishes. 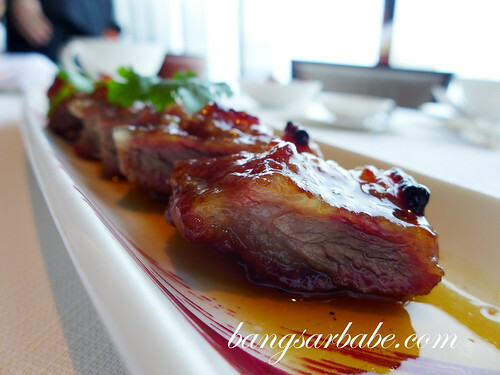 Tin Lung Heen’s speciality is the char-grilled barbecued Iberian pork, which I had the privilege of trying. 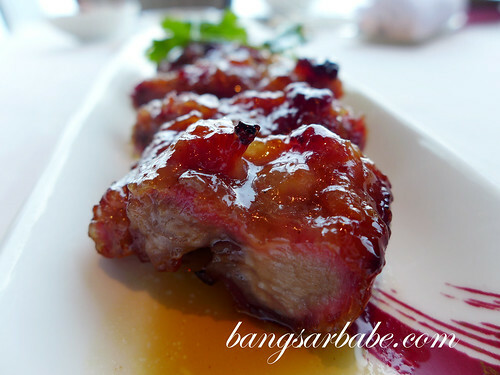 This was especially delicious – achingly tender and juicy, with a smoky-sweet finish. I’m still drooling over it. 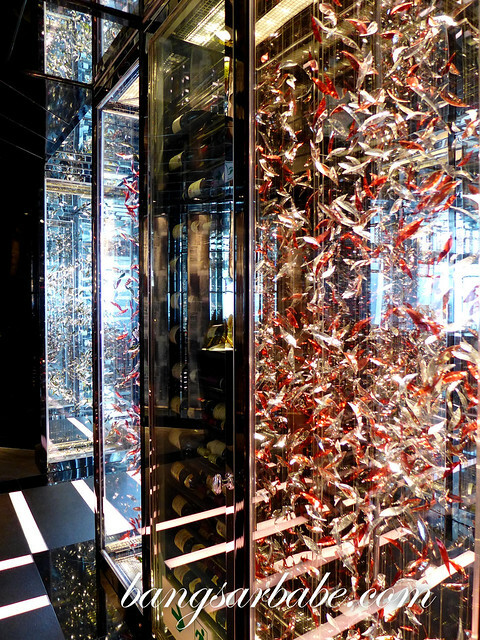 So decadent! Look at the size of that fish maw! 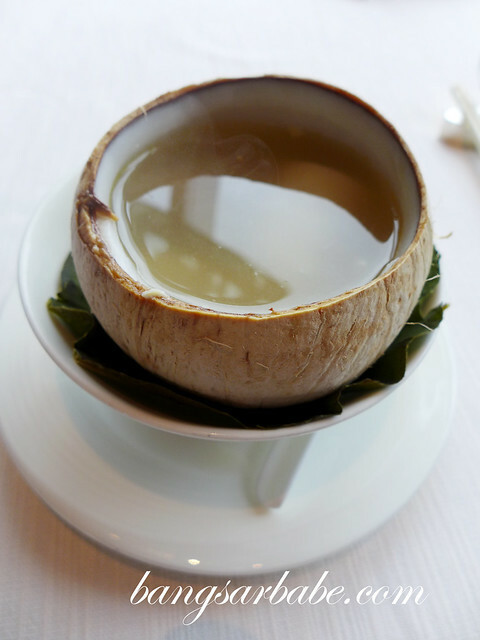 Another winner was the double-boiled chicken with fish maw in baby coconut. I was told the soup is steamed for an hour in the coconut and only baby coconuts are used so the taste of the soup doesn’t get sour. Hands down the best soup I’ve tried, ever. 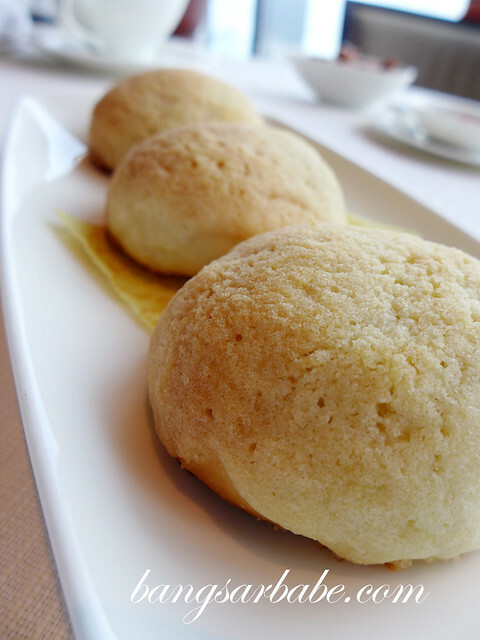 I also tucked into the baked barbecued pork buns with crust, which featured a fluffy bun with savoury pork mince filling. 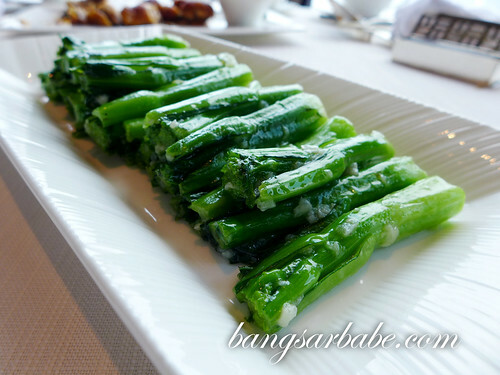 Simple and so good to eat. 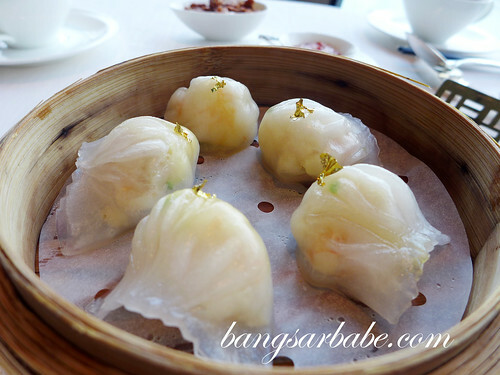 The golden shrimp dumplings with bamboo shoots and asparagus tasted as divine as it looked. 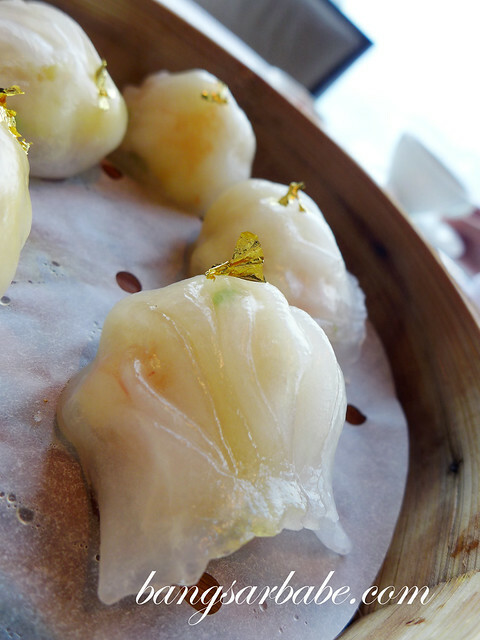 While the gold bit didn’t do much for taste, it looked exquisite and the dumpling boasted 13 folds (yes I counted!) 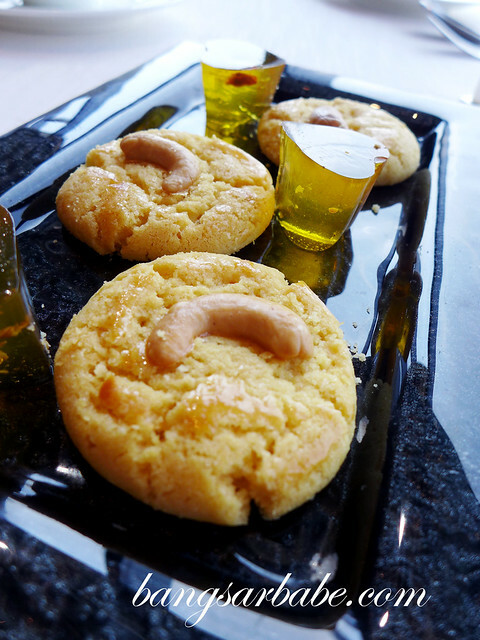 – said to be the most authentic way to prepare a har kau. 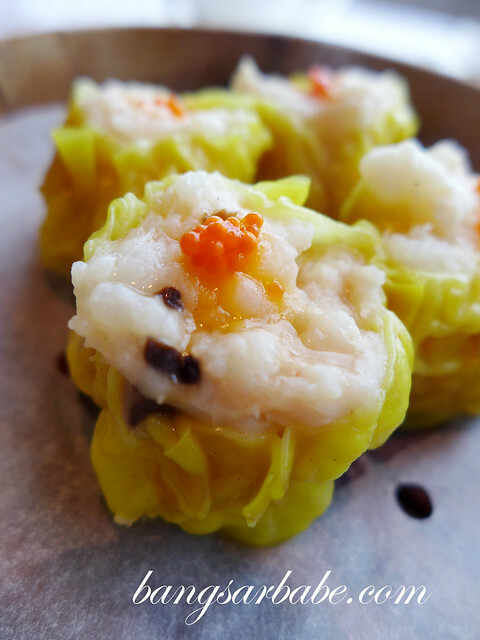 The siew mai (pork and shrimp dumpling with matsutake mushroom) was also very tasty. 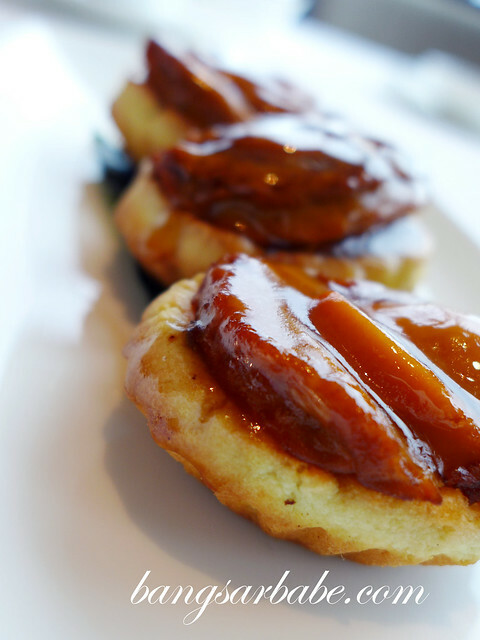 Traditionally prepared with premium ingredients, every bite was succulent and tasty. 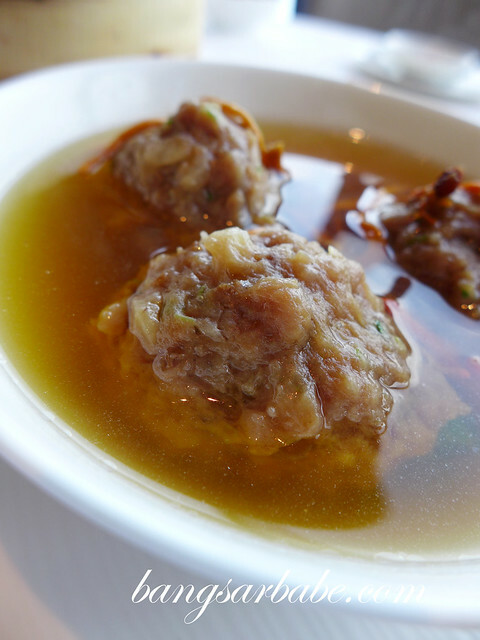 The minced beef balls with Chinese herbs in chicken stock were crunchy from the chopped water chestnut, while the herbs complemented the natural flavour of the beef. 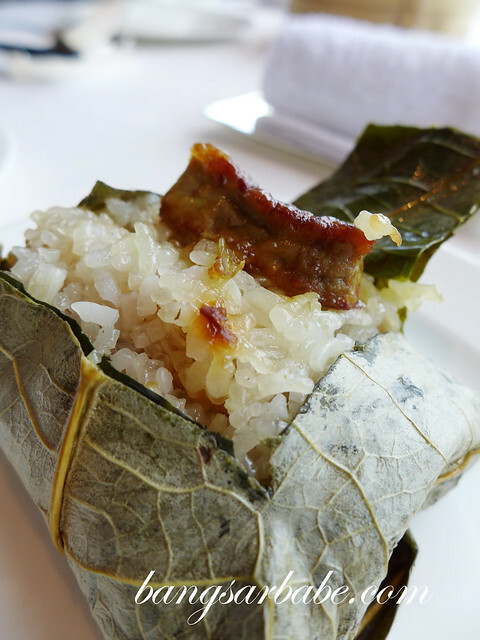 To add to my indulgent meal, I enjoyed a portion of lotus leaf wrapped glutinous rice with foie gras and Chinese mushroom. 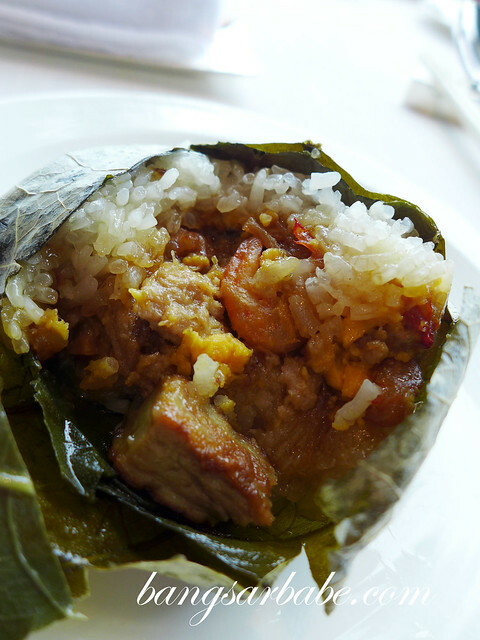 Inside the rice parcel was a generous amount of dried shrimp, savoury pork and salted egg yolk. 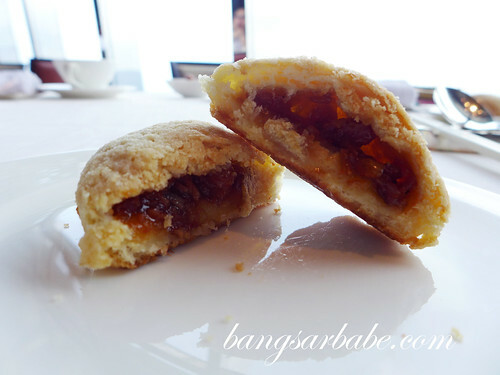 Very delicious, as was the baked abalone puffs with minced pork and roasted goose. 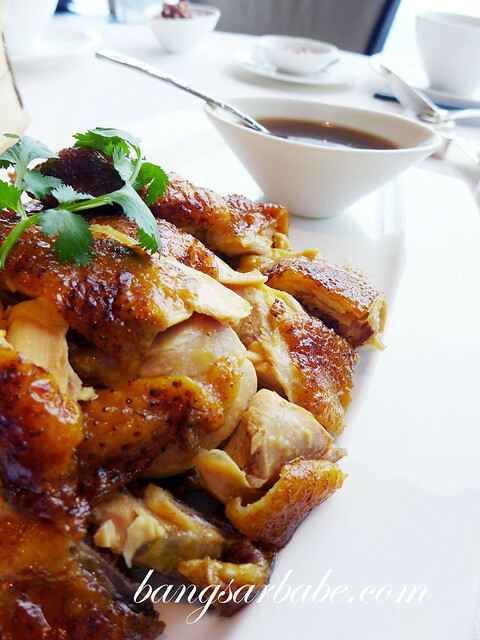 The stewed chicken with preserved vegetable, said to be a traditional dish in Hong Kong, was as tasty as it looked. I liked that the vegetables and accompanying sauce weren’t overly salty. 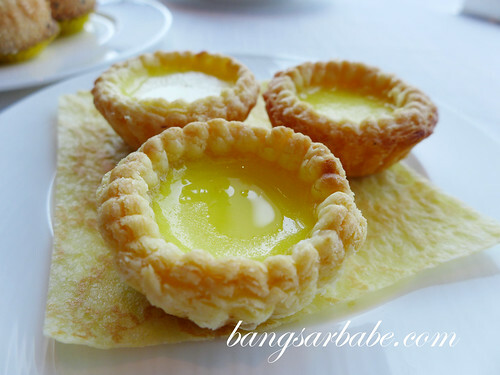 Dessert featured the traditional baked egg custard tarts and deep fried sesame dumplings with egg custard, both excellent in their own way. 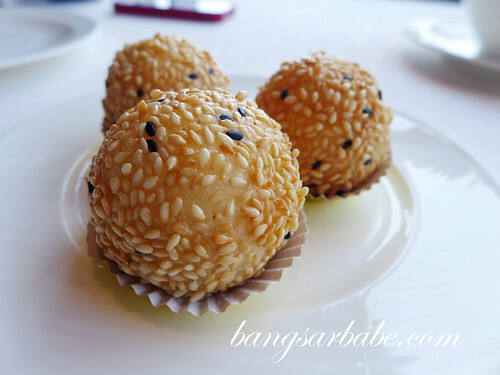 I especially loved the sesame dumplings as the skin was crisp and light chewy – very nice with the savoury sweet salted egg custard filling. Another picture of the char‐grilled barbecued Iberian pork because it was so tasty! Lunch was so good, I’m not sure if I’ll ever enjoy Chinese food in Kuala Lumpur again. Definitely an experience to remember! 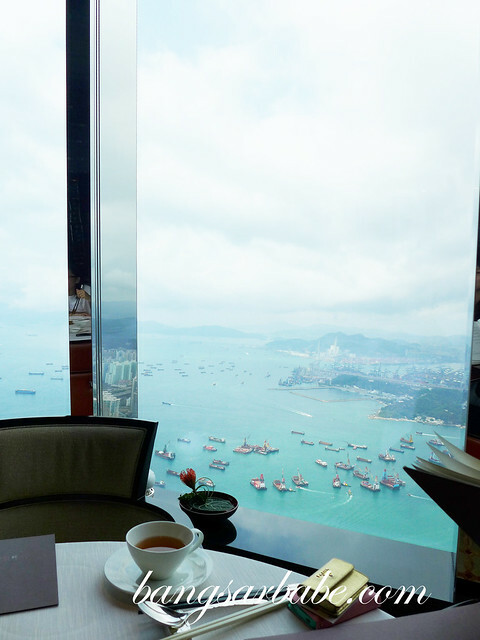 For more information about Tin Lung Heen, visit the official website here and like The Ritz-Carlton Hong Kong on Facebook. 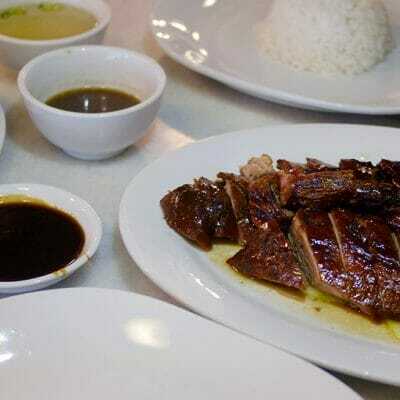 Verdict: The char‐grilled barbecued Iberian pork, double boiled soup and dim sum are a must-try here! Hahahaha! Yeah…best dining experience ever! 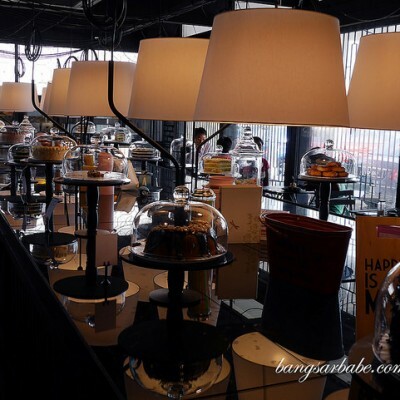 wow…..nice place, nice view and food looks good!! Must be not cheap rite? Yeah, not cheap. I think a meal there would cost at least RM300-400 per person.